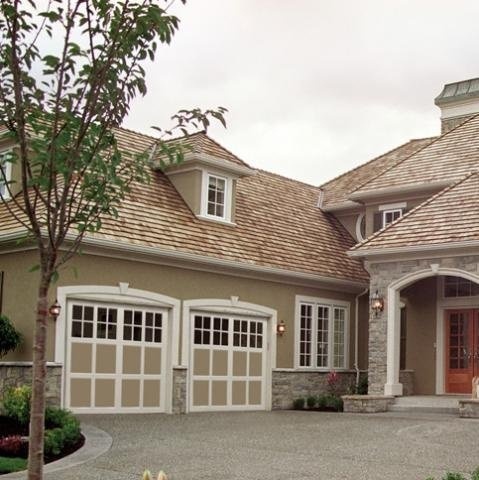 StyleView Custom Profile Carriage House Doors feature architectural grandeur without the maintenance concerns of a typical wood door. The Swing-Up, Swing-Out, Accordion and Bi-Fold designs can be modified to meet the aesthetics of your home by selecting from 187 ArmorBrite™ colors or 7 anodized finishes and numerous glass and batten options. And, for added style, choose between true and simulated divided lites in various pane configurations. 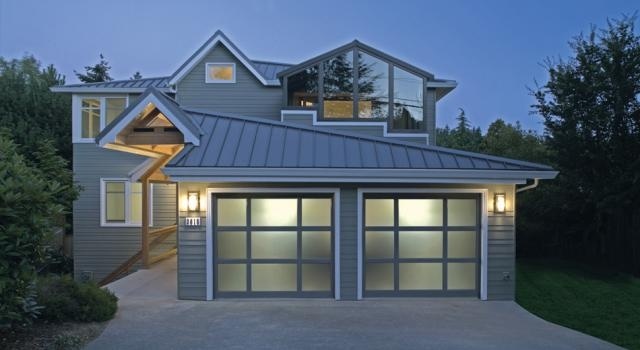 An inspiration in both form and function, Raynor StyleView offers architectural flexibility, maximum visibility and extreme durability in maintenance-free aluminum doors. 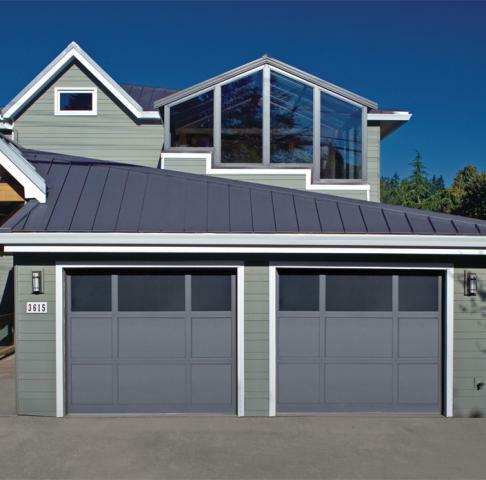 The Custom Profile, Wide Profile and Narrow Profile models feature a series of unprecedented designs, architectural glass options and 187 ArmorBrite™ or 7 anodized color finishes to showcase a home’s unique flair. 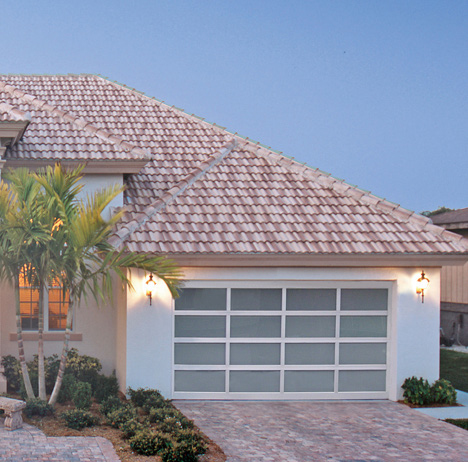 From modern styles to classic facades, StyleView is the choice for achieving a contemporary look or accentuating the design of any residence. A perfect alternative to standard steel doors, StyleView Custom Profile Mixed Panel designs offer a distinctive look for your home. By utilizing various panel spacing options, the Mixed Panel model will differentiate your garage door from others in your neighborhood. Featuring 187 ArmorBrite™ or 7 anodized finishes and a variety of glass options, StyleView Custom Mixed Panel doors complement the individuality of your residence. If you are looking for a heavy-duty door that will enhance your home’s panache or timeless architecture, the Wide Profile model is the answer. Designed for both strength and durability, the 2” thick Wide Profile door features rail and stile construction with a standard joint seal. This model also offers 187 ArmorBrite™ exterior finish options or 7 anodized finishes and optional white or black EnduraCote™ hardware. For added design flexibility, the Wide Profile model is also available with window thicknesses ranging from 1/8” to 1/2”, in various glass types including: frosted, laminate, reflective, satin, tinted, tempered and insulated. Accented with a streamlined design, the Narrow Profile model is 1-3/4” thick door with a ship-lap section joint and standard joint seal. 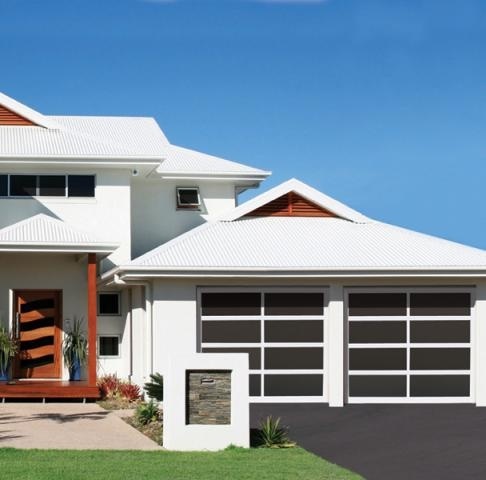 This model is a maintenance-free solution for your garage door needs with 187 ArmorBrite™ exterior finishes or 7 anodized finishes and optional white or black EnduraCote™ hardware. In addition, Narrow Profile doors feature architectural variation with multiple glass options for contemporary and traditional styles alike. The offering includes thicknesses ranging from 1/8” tempered to 1/2” insulated in various glass types, including frosted, laminate, reflective and tinted.